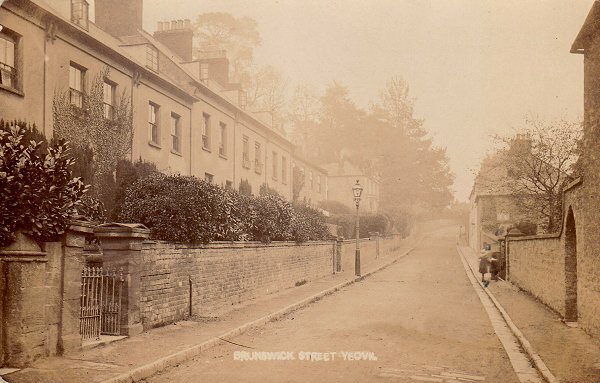 Brunswick Terrace was a row of some ten dwellings on the north side of Brunswick Street, about 300 yards from the junction with Hendford. To the immediate west of Brunswick Terrace was Brunswick Place. 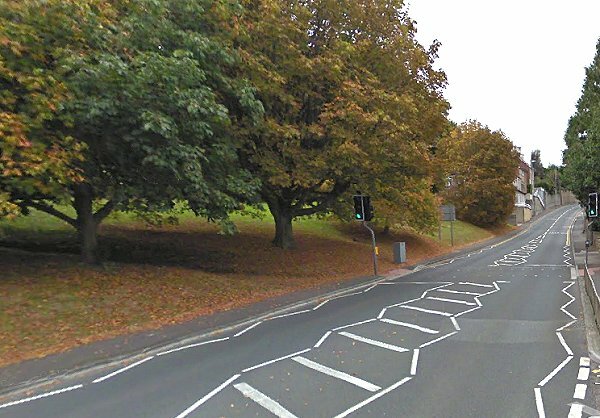 Brunswick Terrace was demolished in the 1960s and the site is now the grassy bank opposite the entrance to Goldenstones. This map, based on the 1886 Ordnance Survey, shows Hendford running across the top left corner with Chant's Path running across the top half of the map and Brunswick Street running across the bottom of the map. Brunswick Terrace is just right of centre. A postcard dated 1906 looking along Brunswick Street with Brunswick Place and Brunswick Terrace at left. Brunswick Street seen from Hendford and photographed in the 1960s. Brunswick Place and Brunswick Terrace were down Brunswick Street, on the left roughly where the three cars are. At right is Nichols Tannery, specialising in processing lambskins and suede. Photographed in the 1960s, this photo looks along Brunswick Street towards Hendford with the steps to Chant's path at right and the entrance to Aldondale Gardens at left. Brunswick Terrace is the tall block of houses just left of centre with the next block to the left at a slightly lower level. Brunswick Place was the next block of houses to the left ending by the building on the road whose flank wall has three black windows. The site of Brunswick Place and Brunswick Terrace is this grassy bank opposite the entrance to Goldenstones. Photographed in 2012.